Big Amethyst Cushion Gemstone, Sleek And Stylish Checkerboard Cut 20x12mm. Here is a stunning big amethyst gem, the type of cushion cut gemstone that would excite every talented designer. The unusual 20x12mm dimensions for this large cushion gem give it a very attractive appearance. The elongated shape with the checkerboard surface on the top of the gem, give the stone a sophisticated touch. The 8mm thickness provided for this large cushion cut amethyst, makes the stone perfect for a ring or pendant. We have added more sparkle to this big cushion gem by, providing it with a perfectly executed checkerboard cut on the surface. 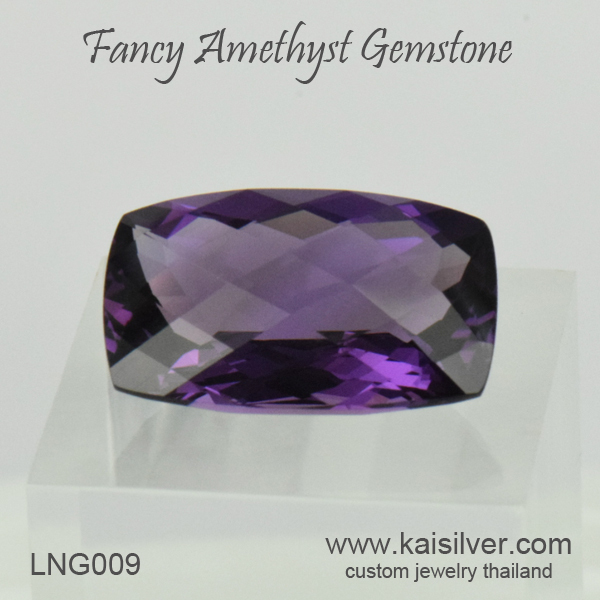 The gemstone weighs 12 carats and is priced at just 475 U.S$. 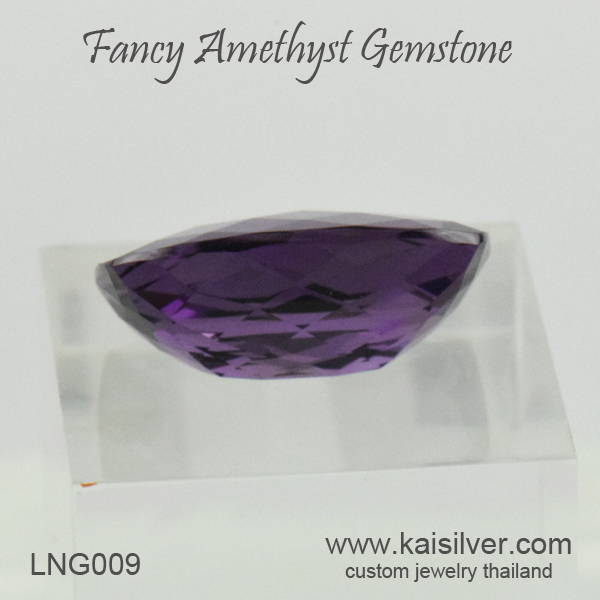 Contact our team of experts at sales@kaisilver.com if you have a question or requirement related to gems and jewelry. As the world's leading source for high end custom made jewelry, we can make a complete jewel for you with your choice of design and gemstone. We maintain the same quality standards related to design, workmanship and gemstones for gold and 925 silver jewelry.